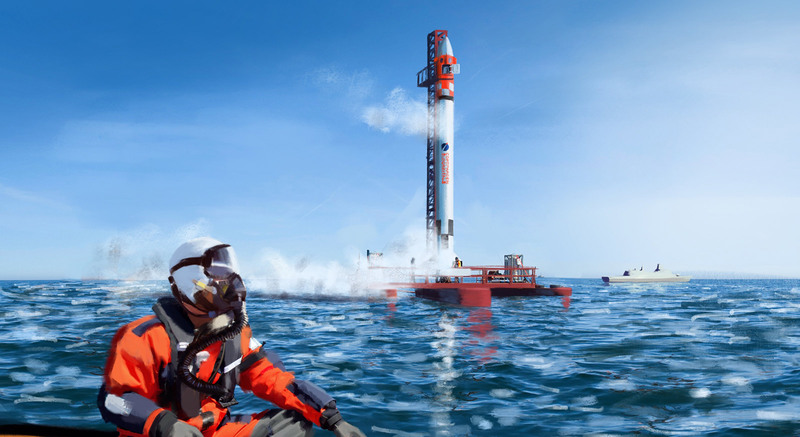 Who will be the first astronaut of Copenhagen Suborbitals? As the only space programme determined to send an amateur into space, we naturally get a lot of questions. The answer is that we don’t know yet. Our resources have to be prioritised extremely carefully to achieve our equally ambitious goal. Our first, manned mission is probably at least 5 years away, so for now, we divert all energy to building, testing, and crowdfunding the rockets, engines, facilities, ships, infrastructure etc. Simply because this takes more time than selecting and training our astronaut. We’re ordinary guys building a big rocket, so our astronaut should also be an ordinary person. Hiring a professional superhero just wouldn’t match our philosophy (or budget). It should be someone like ourselves, a teacher, engineer, unemployed or housewife with a very, very special dream and balls made of rocket-grade alloy. It will likely, but not certainly, be an existing member of our group. It will fit with our DIY culture that she or he has been building the rocket herself. Of course, should nobody from our ranks wish to take the seat, we’ll have to look outside. At the moment, 3 members of Copenhagen Suborbitals are official candidates for our first manned mission. They are determined that they have what it takes. They understand and accept the risk, and so do their families. They have the urge to do what nobody has ever attempted: To fly into space in a home built rocket. Naturally, the most important criteria will be mentally. The astronaut and her/his family must accept the risk involved, which will take a mature, reflective personality, and of course great determination. We work meticulously to make the flight as safe as possible, as we’re courageous, not reckless. But it will obviously be dangerous, so our astronaut must be mentally prepared and at ease with the risk. Secondly, her/his psyche must be able to handle the stress of a space flight, with claustrophobia being the first obvious barrier. You’ll need to sit in a hot tin can with only a small window, potentially for 3-5 hours. The flight itself will last less than 15 min, but you could be waiting in the capsule on the Mobile Launch Platform for hours before lift-off, since delays are very common during countdown. Also, it can theoretically take hours to find and recover the capsule and astronaut after the landing in the sea – although the plan is to minimize this to minutes. You’ll need to be able to stay calm in any situation and make decisions. Stress and panic should be absent from your mind altogether. Physically, the astronaut needs to be fit and healthy, with no conditions that could cause unnecessary risks. It will be great if she/he is relatively light, since every kilogram matters when you’re flying to space. Also, being short will make it more comfortable to sit in the capsule, and there’re bound to be limits to both height and weight. In the illustration above, we see our astronaut being transferred to Mobile Launch Platform Sputnik II, where she’ll climb up the service tower and enter the space capsule, all in good time prior to launch. She’s seen wearing one of the many, possible combinations of equipment we’re considering. Her suit is an off-the-shelf immersion dry-suit, as worn by sailors, air crew etc, who are prepared for survival in water for longer times. Constructed by flame-retarded neoprene It makes her buoyant, so she floats in the sea. Also, it’s thermally isolating, minimizing the risk of hypothermia if she leaves the capsule and enters the Baltic Sea. On her head, she’s wearing a flight helmet, as worn by air crews. Besides impact protection, it also features noise cancelling headphones, and a visor to shield the eyes. The oxygen mask provides oxygen for breathing, protects the face and has an in-built microphone. Flame-retarded, aviator gloves in Nomex are worn on the hands, and on the feet commercially available aviator boots. But many other combinations being are being considered. Maybe a simple flight suit will be used instead of an immersion suit, since the latter probably will require a cooling system to be worn under the suit, and also makes ingress and egress of the capsule difficult. Probably, the most important factor in this decision is whether the plan calls for her to leave the capsule after landing in the ocean, while waiting for recovery. Since it potentially can take hours to find her, survival in 15-20 °C water could require a dry-suit. In order to keep everything as simple and light as possible, it’s also possible that a light-weight, simpler protection helmet will be chosen, e.g the ones used by climbers, skateboarders etc. The hatch will be small, so easy egress will be a key safety factor, working against bulky equipment. Maybe the cabin space itself will provide the breathing air/oxygen, eliminating the need for a oxygen mask. Either way, the air/oxygen system will a interesting design decision.